It was Yeok Kai Seng who began the business in ’65. 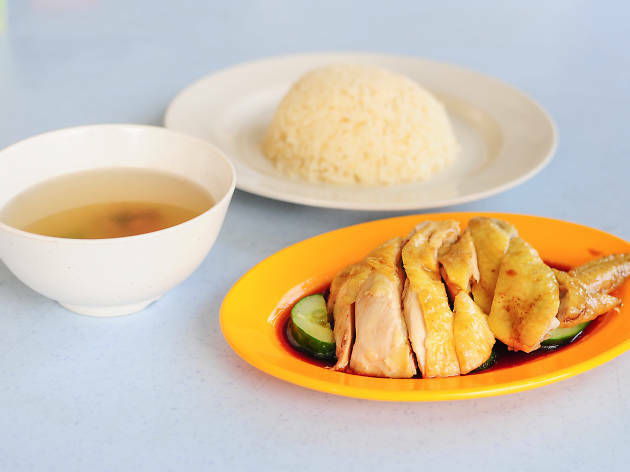 Fast forward 50 years, and the little stall set up along Jalan Klang Lama has branched out into a chain of chicken rice shops in the city. 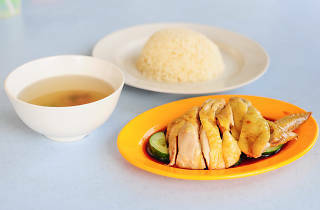 It’s a comforting, simple dish: a plate of silky smooth steamed white chicken in a pool of savoury soy sauce, with fluffy round rice cooked in chicken stock, and a small bowl of clear soup.